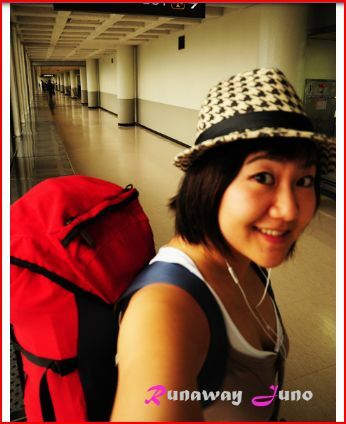 Today’s Travel Tuesday (#TT) goes to another of the Runaway clan – Runaway Juno! Juno, for anyone who doesn’t already know, is a travel blogger born and brought up in Seoul, South Korea. What interests me most about Junos blog, and the reason I have chosen to feature it today, is that she chooses to write in a second language – English. Despite the fact that Juno has never studied English, or had any proper English language training, she took a brave and ambitious step to write in this language in order to reach readers all around the world, and inspire them to travel like her. Juno’s English will never be as good as someone who speaks it as a first language, neither will most people who speak anything as a second language, but regardless of this fact, she still provides really interesting travel content, insights, and pictures, as well as useful travel tips and advice based on her experiences, which is after all the most important part! For me, the content someone is providing is the most important part, and with Juno you know she will always provide something interesting or useful. She therefore gets my Travel Tuesday mention today! Thank you so much. I throughly read your post few times, and really it’s really nice to read so bright things about me. Agreed! She’s a cool girl. The most important part is having a story to tell and she certainly has one of her travels.